Nichole and Isaac Ruston and kids Max, left, and Mia, right. It was the summer of 2008, and Nichole Rushton was primed and ready to run 26.2 miles – a marathon – something she had accomplished with relative ease twice before. At age 28, she well could have invented the concept of “multitasking,” keeping physically active, raising two kids and being a devoted wife to her husband, Isaac. But, felled by an uncharacteristic sore throat, she had to sit out the marathon. Strep throat was the initial diagnosis, and then “mono” – until she deteriorated to the point where her kidneys went into stress mode. Diagnosis: Acute kidney failure. Further tests revealed vasculitis, an inflammation of the red blood cells. Then Nichole experienced a severe life-altering seizure, witnessed by a frightened, yet composed Isaac, which landed Nichole at Mayo Clinic Hospital in Arizona. “I went from the treadmill to a hospital bed,” Nichole laments. It was at Mayo Clinic that she heard words that rocked her world. Nichole would have to be on kidney dialysis for the rest of her life – unless she qualified to have a kidney transplant. By early December 2008, her seizures had returned, rendering her ineligible to drive. She and Isaac moved in with Isaac’s parents so that their daughter, Mia, then 6, could be driven to school, and their son, Max, then 4, could be closely watched while Isaac was at work — in the event Nichole had another seizure. Her “marathon” took on new meaning as she faced what would be 13 months of marathon kidney dialysis appointments. To further plunge Nichole into depression, doctors discovered a blood clot in her heart, a condition requiring blood thinning medications and removal of the stent that was in her chest to allow for dialysis. Instead, a stent was placed into her groin area to allow tubing for her three-times-per-week dialysis. This deprived Nichole of one of her greatest pleasures – a relaxing bath in a tub, something she would not experience again for nearly eight months. Nichole admits she fell into a deeper depression, sitting at dialysis, being one of the youngest people there, and being all too aware that a number of the other patients were “lifers,” with no chance of a kidney transplant because of age or other medical conditions. She couldn’t help but think about her last marathon, where even when she “hit the wall,” as is often the case by at least mile 20, she sprinted across the finish line. Now she and Isaac had to grasp terminology they had never thought about before. Stents. Fistulas. Creatinine levels. And the difference between a 17 and a 15-gauge needle. Fellow patients in dialysis agreed that their common plight was a little like “being a prisoner in your own body.” In fact, even the language sounded like familiar “prison” talk, such as, “What are you in for?” when asking each other what disease caused their kidneys to fail. On Nov. 15, still riddled with fear, pain and depression, Nichole entered her first thoughts into a journal that had been given to her by close friend, Heather. Heather told Nichole that perhaps it wasn’t her place to suggest journaling, given that she could not possibly know what Nichole was experiencing. But the journal was a hit. In fact, journaling by both Nichole and Isaac led to what is called “The Dialysis Diary,” which is now a book Nichole hopes will help others on the same journey. Isaac was never 100 percent convinced that it all would turn out. Nor did he know that one day he would be part of a compelling and creative way to donate a kidney to a patient in need. And that the patient would not be Nichole, his soul mate, but a total stranger. 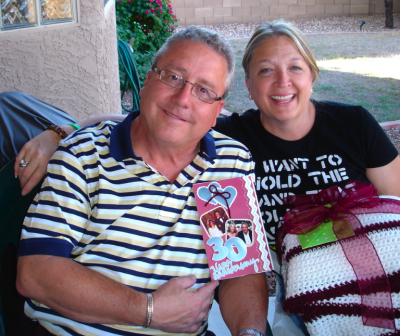 When Christmas of 2008 came around, Nichole joked that yes, she would ask “Santa” for a new kidney – or, really, a “previously-owned, yet certified,” kidney. The question remained: Where would that kidney come from? She had been told that her wait for a deceased donor kidney could range from six months to six years. For Nichole, it was hard to wrap her head around the fact someone would have to lose his or her life in order to help another – and that a family would be grieving for their loved one. Unless she found a living donor of a kidney, that is. It was a no-brainer for Nichole’s family and friends. At least a dozen of Nichole and Isaac’s friends and family members offered up a kidney, all noting that “they have an extra.” Of course, Isaac was the first to step up to be tested to be his wife’s donor, since they shared the same blood type. But not so fast. Beyond blood type, there are other considerations, importantly, antibodies. The phone call they had been waiting for when Isaac was tested came, and the answer was not what they wanted to hear. Because of antibody issues, he was not a match for Nichole. Isaac broke down. He found it so hard to tell his wife. Nichole looked on the bright side – without her husband going through a surgery as well, he could be in good shape to take care of her! A number of well-intentioned potential donors were tested. One by one, from relatives to close friends, they were rejected for various medical reasons. 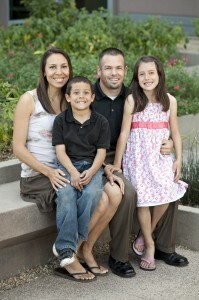 Six months came and went while Nichole endured dialysis. When “Cinco de Mayo” came, she entertained the idea of having a margarita. She resisted. Then Mayo Clinic cautiously began telling Nichole and Isaac about the “kidney exchange program.” It’s a creative way to expand the pool of available kidney donors so that people like Nichole could receive a kidney, and people like Isaac, who was not able to be her donor, could donate to someone else in need. Everyone “swaps,” so to speak, and compatible kidneys are found from patients in a situation just like Nichole’s. On Oct. 13, 2009, Nichole and Isaac got the news that it appeared they were a match for another couple in the same situation. After so many disappointments, Nichole and Isaac were wary about getting their hopes up. But this time, disappointment turned to excitement. After all, Nichole had endured needle sticks and dialysis for a year. She was ready. And the word came from Mayo that all the approvals had been settled, and the exchange surgeries would take place on Nov. 17, 2009. Isaac’s kidney would be sent to Utah, for someone who was a match. And a stranger’s kidney from Utah would come for Nichole – also a match. Nichole’s last day at dialysis was bittersweet. She had met so many friends, so many techs and nurses and people who encouraged her to move ahead with a transplant. (Even people who would never be able to leave dialysis – who were in it for the long haul. But they celebrated with Nichole.) A tech Nichole greatly admired also came in on his day off to say goodbye and good luck. Tears were abundant by all. Surgery day, Nov. 17, went like clockwork. Nichole was able to kiss Isaac goodbye before his surgery, and the two connected post-surgery to take measured steps around the nurses’ station to do their first walk. Their families celebrated. Along the way had come another unexpected challenge. Nichole’s father had almost died himself of liver failure. Nichole had prepared to say her goodbyes. But a miracle took place, and her dad was able to get a successful liver transplant at Mayo Clinic. It would be hard to ignore the elephant in the room. This “elephant” happens to be the 400-pound artificial heart machine that is keeping alive a very special patient at Mayo Clinic in Arizona — a 41-year-old husband and father of three whose heart was so damaged it had to be totally removed. The heart machine, called the Total Artificial Heart, then took over. It replaces the human heart and pumps up to 9.5 liters of blood per minute to save the lives of patients experiencing end-stage heart failure. The human heart may have been replaced, but not the human spirit. Mayo patient Charles Okeke is setting records. He has been on the Total Artificial Heart for nearly 250 days and courageously goes about life as best he can while being an inpatient at Mayo Clinic Hospital all that time. His is a complex case in that his body produces antibodies that make it challenging to be a good match for a donor heart. Still, he works out at physical therapy, using the treadmill, stationary bike and lifting weights. He is in remarkably good shape. He is as mobile as he can be, tethered to the machine and often can be seen having lunch or dinner in the hospital cafeteria, with staff at his side. It is no small task to move the machine from point A to point B. The “room” this time was the back cafeteria at the hospital, a place that on a recent Saturday evening was transformed into a serene respite from the 24-hour daily reality faced by Charles, who relies on the machine to function and to keep in close touch with his wife of 11 years, Natalie, and their three children, Cecilia, 8; Jacqueline, 5 and Dominick, 3. Natalie and Charles dressed for the special occasion; Natalie in a lovely white sun dress and Charles in a blue and white tropical shirt. That night was set aside to be a “dinner and a movie” date night for Charles and Natalie, the brainchild of Francisco Arabia, M.D., Mayo’s Chair, Division of Cardiovascular and Thoracic Surgery. Many others were delighted to participate in making the night a special one for the couple, from the hors d’oeuvres served on the cafeteria patio to the flowers on the beautifully set table, to “candles,” to, yes, even a beverage of their choice. The Food and Nutrition Services staff went all out and their pride was obvious as they prepared and served the elegant meal for the couple. 7-up pound cake for dessert, festooned with mixed berries. Not exactly your standard-issue cafeteria food. At last, Charles and Natalie had some welcomed privacy. They laughed, talked and shared stories. After dinner, they took their place on a comfortable leather sofa in the same room to watch the movie. They chose “Yes Man,” starring Jim Carrey. In front of them was a bowl of popcorn and all the requisite movie theater treats — boxes of Dots, Junior Mints and the like. Charles remains introspective about his challenges, noting he takes his situation day by day, “just enjoying the people around me — just enjoying the ride.” Should that day come in the near future when a portable version of the Total Artificial Heart becomes available, it may well be possible for him to go home, something Natalie looks forward to. “I want my husband to be around my kids, raising them. We want some laughing moments,” she says. Lynn Closway works in Mayo Clinic’s Department of Public Affairs, and wrote this post as a spectator. For an account from one of Synchronicity’s rowers, see Yvette Martin’s related post below. 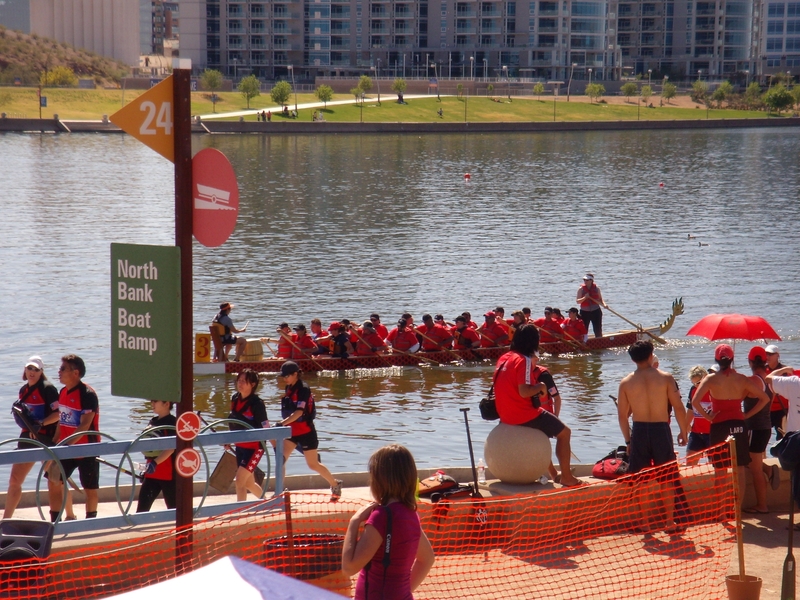 If you happen to be one of the 76 teams that DIDN’T score the coveted first place in three of the top categories at the 6th Arizona Annual Dragon Boat Festival March 28 and 29, that is. Team Mayo Clinic in Arizona easily reclaimed the corporate championship by placing number one (gold) in the 500-meter race and was the hands-down first-place winner in both the “Cheer” and “Team Spirit” categories. Mayo also took a third-place (bronze) win in the “Mixed Team – Division C” category, comprising both men and women paddlers. Dragon boating encompasses 2000 years of tradition, one of mankind’s oldest organized competitions. The original folk ritual honors not only the dragon, but pays tribute to a 4th century patiotic Chinese poet who drowned. Mayo Clinic’s 40 team members proudly representing 25 departments commanded three boats — “Mayo Synchronicity 1”, “Mayo Synchronicity 2” and “Mayo Synchronicity 3” (made up by a combination of paddlers from Mayo 1 and Mayo 2). And yet nothing seemed more commanding than the cheer team (deafening) and the overall spirit that permeated throughout the two days (sincere, obvious to all and totally in keeping with Mayo’s well established team approach). Noted observers: The Mayo cheers weren’t reserved for just Mayo participants. The raucous Mayo crowd exhibited its “equal opportunity” enthusiasm for all who came off the boats, no matter what team — generous with their cheers, support and praise. Generally when the heart of Adrian Fernandez is beating at a frenetic pace, he’s behind the wheel of a race car, and a highly trained and loyal pit crew is waiting around the next turn of the track to spring into action. Not so much when Adrian was on the treadmill at Mayo Clinic in Arizona, submitting to a rigorous workout of a totally different kind. His “pit crew” came in the form of skilled, compassionate cardiac professionals. And this time, Adrian was on his own to prove his performance – cardiac performance, as opposed to driving proficiency. Sonographer Nan Pearson was among those who helped guide Adrian through Mayo Clinic’s new Heart Health and Performance Program, including his stress echo test, a diagnostic tool generally not used unless previous cardiac symptoms had been detected. A cardiac sonographer is able to view images of the heart and blood vessels to detect subtle differences between normal and potentially diseased areas and present the data for interpretation. The human heart may be a remarkable organ, but Adrian wanted to know how his was performing after 27 years of competing at the top levels of racing – in Champ Car, the IndyCar Series, NASCAR and now sports cars in the American Le Mans Series – as well as the challenges of owning his own racing team. Mexican-born Adrian, who has an international fan base, has garnered numerous wins over his career, alongside awards such as “Athlete of the Year” in his home country. 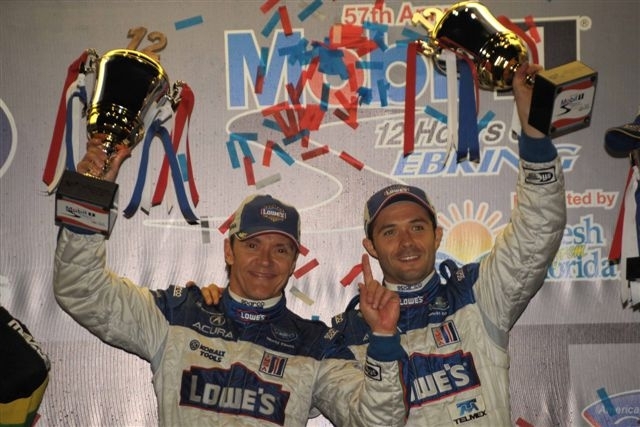 His most recent win came on March 21 when he won his class in one of the most prestigious sports car races in the world – the Twelve Hours of Sebring. The endurance classic pushes the physical demands of racing to the limit as drivers compete on a super-fast and super-bumpy track for 12 hours, reaching top speeds of over 170 mph. “You have to be in good shape, especially in high-performance driving,” advises Adrian, 45, who trains vigorously five days a week and also incorporates weights into his routine. He said that while racing his heart rate stays at an average of 150 for two hours on average, and that when maneuvering the car, his legs, arms and neck are all enduring a vigorous workout. During the Sebring race last Saturday, Adrian was behind the wheel of his race car for three-hour stints. Patti Miller, RN, oversaw the aerobic portion of Adrian’s test, a procedure on the treadmill staged in three-minute walking and running sequences of increasing difficulty. He took his task seriously and cooperated by quickly jumping off the treadmill after each segment so that Nan Pearson could take the readings before his heart rate dropped. The test, she says, focuses on the left ventricle, the main chamber of the heart. Not surprisingly, Adrian’s heart rate dropped quickly – “a good thing,” notes Nan, confirming his excellent physical fitness. Adrian’s day navigating Mayo’s Heart Health and Performance Program began with a cardiac pulmonary stress test, followed by the stress echo test and continued with other non-invasive diagnostic procedures. Screening includes blood work, body fat analysis, carotid artery ultrasound and liver and kidney function testing. He also met with a cardiologist to discuss his results and a “heart health” plan. When Adrian left Mayo Clinic after his screening and evaluation, he issued a thumbs-up. And now his evaluations and individualized plan are in his hands, ready for him to implement an action plan. The Heart Health and Performance Program differs from cardiac rehabilitation in that it focuses on early detection of heart disease – and focuses on maintaining a heart-healthy lifestyle. That strong emphasis on prevention also centers on diet and nutrition, which was part of Adrian’s program as well. Adrian is determined to not be one of those statistics. For more information about proactive prevention of heart disease, go to the Mayo Clinic Podcast blog to hear an extended interview with Dr. Hurst. He made it! Scott MacIntyre, singer/songwriter/pianist from Scottsdale, Ariz., that is. Scott, 23, a contestant on the current season of American Idol, made the list of the 10 finalists on last night’s program (Wednesday, March 18) when “America” voted him in. American Idol host Ryan Seacrest delivered the good news to a jubilant Scott by telling him he would be on the nationwide tour after the season’s end – news enthusiastically received by Scott and his family. MacIntyre was diagnosed with kidney disease in 2005. He spend 10 months undergoing dialysis, which severely limited his ability to perform or travel. After the MacIntyres began looking for donors, four potential candidates were disqualified before Patricia Cosand was approved…. Click here to read the rest of the story about Scott’s amazing accomplishments in his young life and about his life-saving transplant. Pearls top the list as the suggested 30th wedding anniversary gift. Still, some devoted husbands may opt to purchase their bride of three decades a special spa day – or an exotic trip to sip a cool drink by an ocean. In the case of George and Anna Riley, Bloomfield, N.M., their beverage of choice on the eve of their 30th wedding anniversary was strictly cut off at midnight. That was the “stop all food and beverage” deadline before they were both readied for major transplant surgery at Mayo Clinic in Arizona. George’s gift to Anna trumped all material things. George, on their 30th wedding anniversary, instead donated one of his kidneys to Anna, 49, who suffers from a genetic disorder that has affected other family members. It became clear early on that Anna would require a kidney from a non-blood relative, so as to not compromise the health of any remaining relatives. A number of their friends, many from their church, didn’t hesitate to step forward to offer to be tested to ultimately donate the gift of life to Anna. They were prepared in particular for one young church friend to be “the” donor. So it surprised them both when George qualified to be his wife’s donor, and Anna was touched that her husband of all those years would make such a generous and sincere offer. The night before surgery, family members had thrown an anniversary party for Anna and George, even if the food had to be curtailed at midnight. The prospect of Anna having a second chance at a healthy life was all they cared about. Her condition, medullary cystic kidney disease, often leads to end stage renal disease. Anna’s father, after undergoing three kidney transplants, died from the disease in 1991. But it gave Anna hope when she witnessed her younger sister, who has the same disease, go through a successful kidney transplant at Mayo Clinic. The couple’s faith and church ties are strong, and through friends there, they were able to connect with a family close to Mayo Clinic Hospital that was willing to let them use their home during their recovery. Along with their strong faith, Anna and George credit Drs. Marek Mazur, Adyr Moss and Ray Heilman at Mayo for their combined successes in their evaluation and surgery. “They were amazing,” Anna notes. 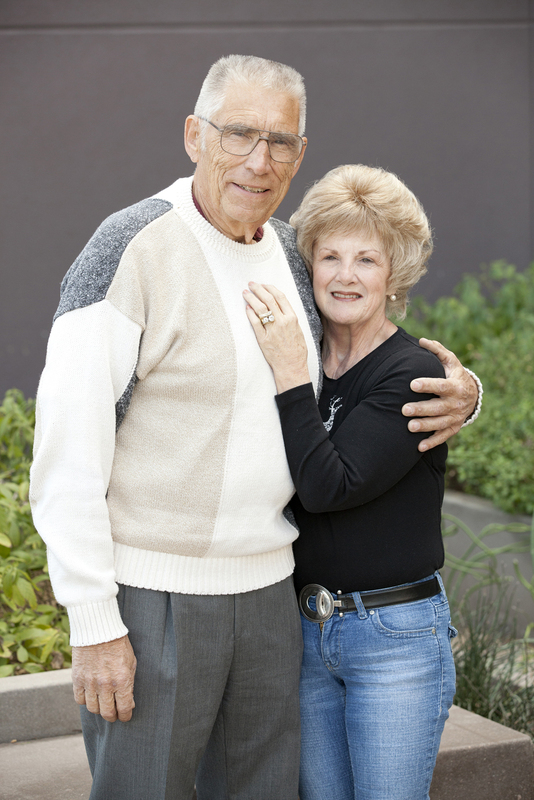 George was able to leave the hospital the day after surgery, and Anna, although admitting to soreness, said she felt better immediately when she awoke from the surgery. And now, a number of months later, “We are both back at work and feel great,” confirms Anna. It’s the topic of a collaborative research study involving Mayo Clinic in Arizona, Arizona State University’s Biodesign Institute and the University of Arizona. The study suggests that the composition of microbes within the human gut may hold a key to at least part of the cause of obesity — and the prospect for future treatment. The upshot? After studying the gut microbial composition of patients of normal weight, those who were morbidly obese and those who underwent gastric bypass surgery, it appeared that the microbes in the gut of those who were obese had some dramatic differences, compared with the normal weight individuals, while the composition following gastric bypass surgery looked similar to that of the normal weight individuals. More studies are needed, but Dr. John DiBaise, Mayo Clinic gastroenterologist, says that down the road, information on an individual’s gut microbial composition may make it possible to predict a person’s susceptibility to obesity and lead to new treatments to favorably modify the gut microbial composition.